In United States of America, if you are willing to get employed in any health care facility, you must earn CNA Certification and get registered with respective state nurse aide registry that grants you legal working permission in various types of health care facilities. As a CNA you may get employed in hospitals, rehabilitation centers, adult care centers, hospice, nursing homes, long term care facility, mental care centers and hospice center. You may also get opportunity to work as a home health aide, travel nurse or Private Duty CNA jobs. Various types of facilities and different jobs also needs variable nursing care skills and, CNA Salary that are offered to you may also vary as per job types and positions. Health Care Facility Size and Type – Larger facilities with many beds offers higher salary. Facilities such as hospitals and long term care facilities pays well than working in Rehabilitation Center or as a Home Health Aide or Private Duty CNA jobs. As a travel nurse you may have to visit distant location, where your salary may be higher plus you will be offered other benefits. Working Experience – Few Years working experience can get you better salary than one or two years experience or as an entry level certified nurse aide. Facility Location – Health Care facilities located at metropolitan cities pays higher as compared to facilities located in urban or rural areas. Standard of Living – in Metropolitan areas are higher as compared to rural or urban areas. A CNA working in city areas are paid higher due to higher standard of living in these areas. 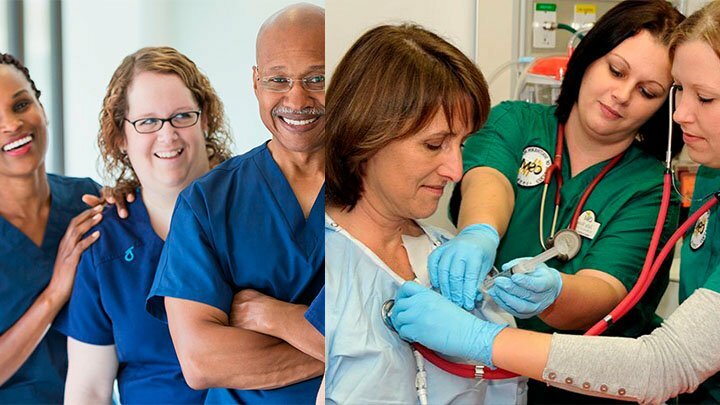 Job Employed Position – If you are employed in hospital intensive care unit or other important and responsible position, you will be paid higher than working in a Physicians office, home health aide or other lower level position. Academic background, CNA Training and Certification – Your education also plays a role in your salary. If you have earned higher education, CNA Certification and completed other nursing courses along with CNA trainings, you will be paid higher. Working Hours – As a Certified Nurse Aide, you will be paid as per your working hours because you can get employed for full time, part time, evening, holidays or weekend. A full time CNA earns higher than part time, evening, weekend or others. Difference between States to State – Different states have their own nurse aide salary criteria. In some state with distinguished hospitals, CNAs are paid better than other states. As a Certified Nurse Aide, you can earn $20,000 and $35,000 per year and few CNAs even earn $45,000 or $12 to $17 per hour depending upon given factors. For example, a Home Health Aide can expect a salary of $ 20,000 to $23,000, where a hospital nurse aide can earn $23,000 to $31,000. Similarly, working in a Private clinic may offer you a salary of $23,000 to $36,000. If you have few years experience you can expect a salary of $30,000 to $ 45,000 but a fresh CNA only earns around $20,000 to $24,000. Therefore, you must also remember these Salary factors, while searching for Certified Nurse Aide Jobs.